New Nintendo Direct to Show off Super Smash Bros.
It’s a bold claim, but I’m going to make it here: Monument Valley is the iPad’s Journey. It doesn’t share similar mechanics, nor does it really share the same look, but it left with me the same level of fulfilment and contentment that Journey did, on a smaller screen, for a smaller price, by a smaller team. What it does share is the length. Over within a few hours and offering little reason to play it again, it is affecting, strangely moving, has a beautiful aesthetic design and a glorious soundtrack that makes you want to rush out and buy it. But what is it? Well, the closest comparison to make would be to a game nobody really remembers on PSP and PlayStation 3 called echochrome, but that’s mostly thanks to the level design and how it makes you sit back and actually think. 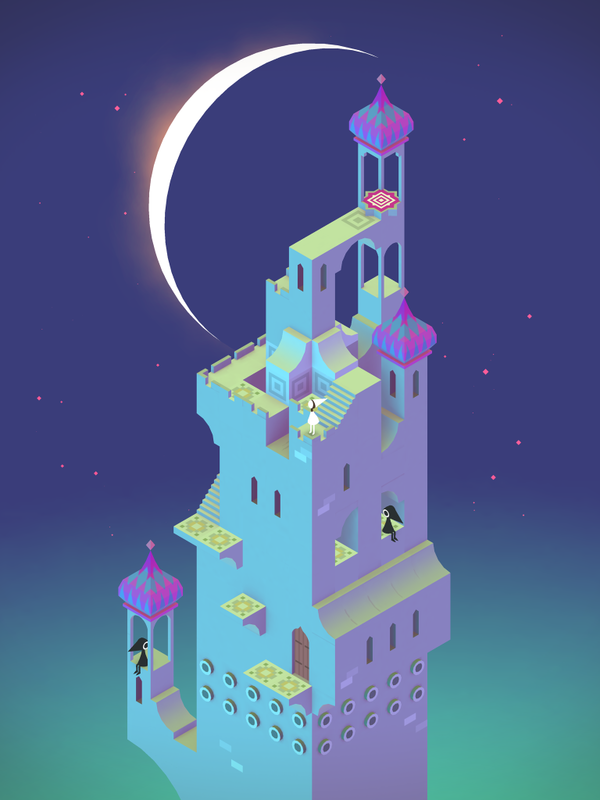 The world itself is moveable in Monument Valley, and the only difficulty comes from solving the puzzles created by this nuanced view-changing mechanic. From the very beginning it impresses, the opening level just begins without you having to do anything, and the mechanics are introduced in a natural way: you’ll see a tap-like object which, when turned, moves part of the geometry, allowing you to progress past a previously blocked path. Then you tap the screen and your character (Princess Ida) will move to the spot you touch. The objective is always clear: get to the end, progress the story. At points, Ida will be upside down, or climbing a wall, and you’ll have to manipulate the camera by moving the environment itself to get a better view. It’s fascinating to explore and is enjoyable throughout. On the way you’ll meet the Crow People, who are the closest you come to an enemy. Essentially they are an obstacle in your path, as they won’t allow you to go by. Some later levels require you to make use of their set paths to step on switches, allowing Ida to pass elsewhere. In fact, a particular level that requires you to manipulate the Crow People (that reminded me of The Room) is a major highlight and a masterclass in level design, as well as a genuine “wow” moment. 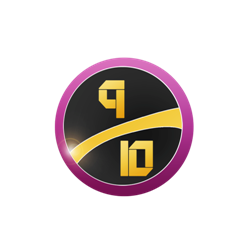 As the levels progress (there are ten – it’s not a long game at all), new ways to interact with the architecture are introduced, and the difficulty slowly ramps up, though it never becomes horribly hard, and the only level that took a significant amount of time was the final one. The story also becomes more and more intriguing, sucking you in with gorgeous visuals that feel as though every inch has had oodles of love poured into it. Matching the looks is a simple yet effective soundtrack, but the real excellence is in the moving geometry. Certain moveable parts have corresponding sounds. Perhaps as you turn that tap, a guitar will play in sync – it’s a game that rewards you for wearing headphones, but even more so for giving it your full attention. There are smaller, additional hooks added to the package. You can take a picture of a level as you finish it (though some will be spoilery, so don’t be that guy), and you can tweet or post to Facebook from within the game. Nothing major, but a nice addition overall. VERDICT: Monument Valley is the kind of game that reminds us why diversity is so important: colourful and magical in its presentation, and just exactly as long as it needs to be without outstaying its welcome. 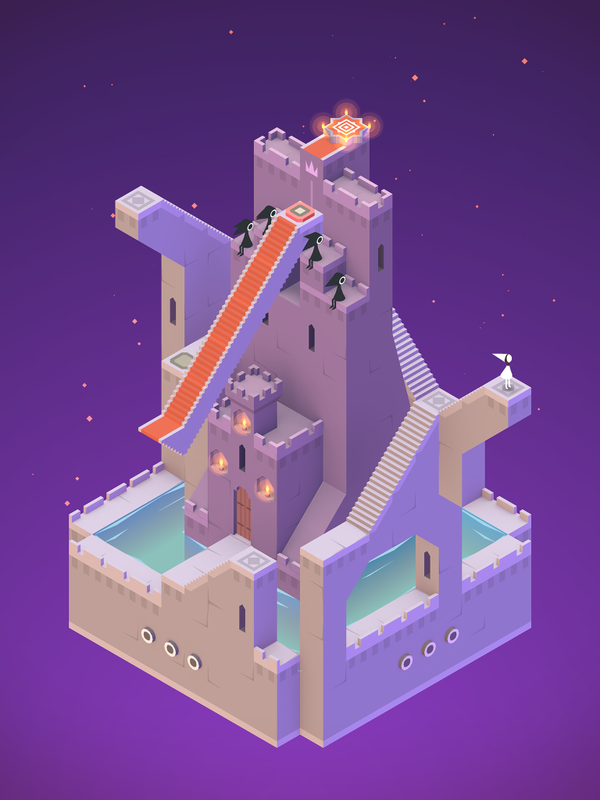 For less than the price of your lunch, you could spend an hour or two in the outstanding world that ustwo have created. If you own an iPad then there’s absolutely no reason not to be playing this. Buy it today.